Food dyes offer no nutritional benefits to our food. It is purely cosmetic, to make otherwise bland, grey or beige foods seem more appealing. Due to the toxicological considerations related to food dyes, as well as their behavioral effects and hypersensitivity reactions, conventional food dyes should not be considered safe. Foods with artificial coloring should be clearly labeled on the front of the package. 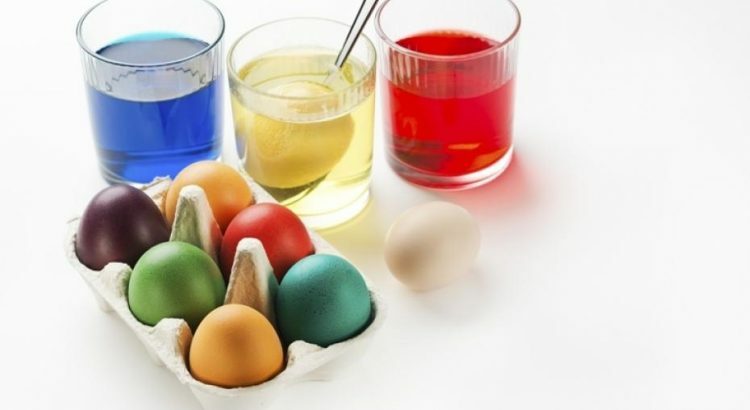 Although there are numerous food dyes used by manufacturers, three dyes, Red #40 – Allura Red, Yellow #5 – Tatrazine and Yellow #6- Sunset Yellow compose 90% of all the dyes used. An area of concern is that lab testing is done on individual colors, not on numerous colors combined in a product. Processed foods usually contain more than one food color. The FDA approved Blue #1 for general use in food and ingested drugs in 1969. In 1982 it was later approved for externally applied drugs and general use in cosmetics, excluding the area of the eye. Most of the studies performed were sponsored by the industry, and no evidence of carcinogens was discovered. Other studies raise some red flags. An abstract review by IARC states that male mice had significant increased incidence of kidney tumors. In vitro tests also suggested the potential for neurotoxicity. What’s the risk: It can induce an allergic response in individuals with pre-existing moderate asthma. The dye can cause hypersensitivity reactions. Blue #1 has been banned in Austria, Belgium, Denmark, France, Germany, Italy, Spain, Sweden and Switzerland. It has been certified as food safe in the EU and is legal in most countries. Beverages, candies, pet foods and drugs. Causes a statistically significant incidence of tumors, particularly brain gliomas, in male rats. Indigo carmine is harmful to the respiratory tract if inhaled. It is also an irritant to the skin and eyes. Proper laboratory cautions (lab coat, gloves, and goggles) are advised. In surgery, intravenous indigo carmine is used to highlight the urinary tract. The dye is filtered rapidly by the kidneys from the blood, and colors the urine blue. This enables structures of the urinary tract to be seen in the surgical field, and demonstrate if there is a leak. However, the dye can cause a potentially dangerous increase in blood pressure in some cases. Maraschino cherries, grenadine, and the dye is used on the skins of Florida oranges. It’s toxic to rodents at modest levels and caused tumors of the urinary bladder and possibly other organs. What’s the risk: This food dye is prohibited in EU and other countries. Caused significant increases in bladder and testes tumors in male rats. Sausage casings, oral medication, maraschino cherries, printing inks, popsicles, and baked goods, candies, widely used in cake decorating gels and for biological stain. In the 1990’s the U.S. FDA issued a partial ban on erythrosine, citing research that high doses have been found to cause cancer in rats. Recognized in 1990 by the FDA as a thyroid carcinogen in animals and is banned in cosmetics and externally applied drugs. 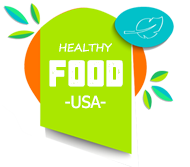 Beverages, bakery goods, dessert powders, candies, cereals, foods, drugs, and cosmetics. On June 30, 2010, the Center for the Science in Public Interest (CSPI) called for the FDA to ban Red #40. It may accelerate the appearance of immune system tumors in mice. It also causes hypersensitivity (allergy-like) reactions in some consumers and might trigger hyperactivity in children. It is banned in Belgium, Denmark, France and Switzerland. In Europe Allura Red is not recommended for consumption by children. Is a synthetic yellow azo dye. Of all the azo dyes tartazine causes the most allergic and intolerant reactions, particularly among those with aspirin allergies and asthma. Symptoms can appear anywhere from minutes to 14 hours. Ice cream, candies, cotton candy, chewing gum, instant puddings, gelatins, pet foods, numerous bakery goods, beverages, dessert powders, candies, cereals, gelatin desserts, and many other foods, as well as pharmaceuticals , bar soaps, tanning lotions and cosmetics. Yellow 5 can cause severe hypersensitivity reactions and might trigger hyperactivity and other behavioral effects in children. Consumed over a prolonged period of time, Tartazine inflamed the stomach linings of rats. It also caused adverse affects in vital organs such as the liver and kidneys of rats, regardless of dose size. Tartrazine was found to adversely affect and alter biochemical markers in vital organs, e.g., liver and kidney, of rats, not only at higher doses, but also at low doses. Color bakery goods, cereals, beverages, dessert powders, candies, gelatin deserts, sodas, packet soups, snack chips, sausage, cosmetics, and drugs. This dye is banned in Norway and Finland. Caused adrenal tumors in animals and occasionally causes severe hypersensitivity reactions. Sunset Yellow may be responsible for causing an allergic reaction in people with an aspirin intolerance, resulting in various symptoms, including gastric upset, diarrhea, vomiting, nettle rash (urticaria), swelling of the skin (angioedema) and migraines. The coloring has also been linked to hyperactivity in young children.